Ramla Sahid forcefully pushed for unapologetically liberal policies that hadn’t been significant parts of the city’s housing conversation. Housing dominated San Diego politics in 2017. First that was by choice, as Council members and the mayor took aim at the region’s housing shortage and the prohibitive cost of living that came with it. Then it came by force, as a historic hepatitis A outbreak caused in part by unsanitary conditions in the city’s vast homeless camps claimed 20 lives. But a new – and radical by San Diego standards – voice entered the housing discussion this year, too. 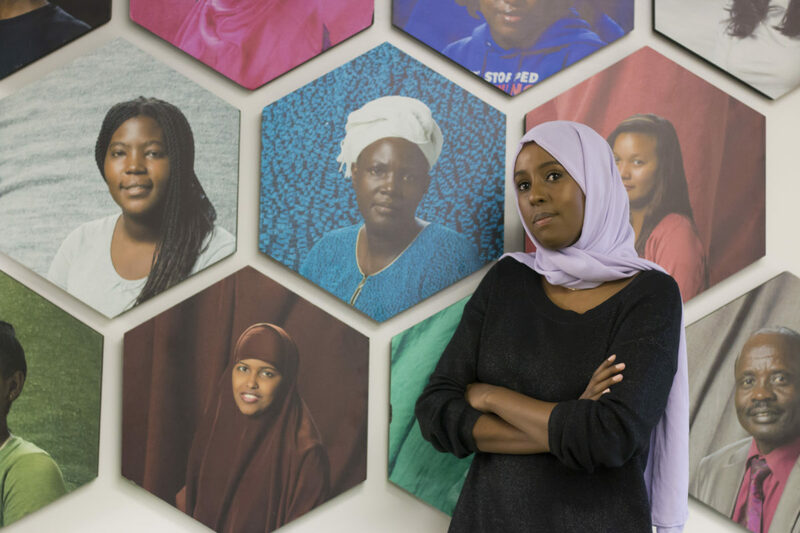 Ramla Sahid, executive director of the refugee advocacy group Partnership for the Advancement of New Americans, argued that what San Diego’s refugee population really needed from local government was affordable housing. Sahid and other allies, especially Ismahan Abdullahi, a PANA director, forcefully pushed for unapologetically liberal policies that hadn’t been significant parts of the city’s housing conversation: rent control – or rent stabilization – and the need for a broad tax increase to build substantially more government-subsidized, income-restricted homes. At major City Council meetings, Sahid organized speakers to push back on city proposals aimed at increasing market-rate housing supply and to expand the Convention Center. And she and others formed a new progressive group, Build Better San Diego, a mix of community groups like hers and labor forces, pushing for a housing-focused tax increase on the 2018 ballot. This is part of our Voice of the Year package, profiling the people who drove the biggest conversations in San Diego in 2017.